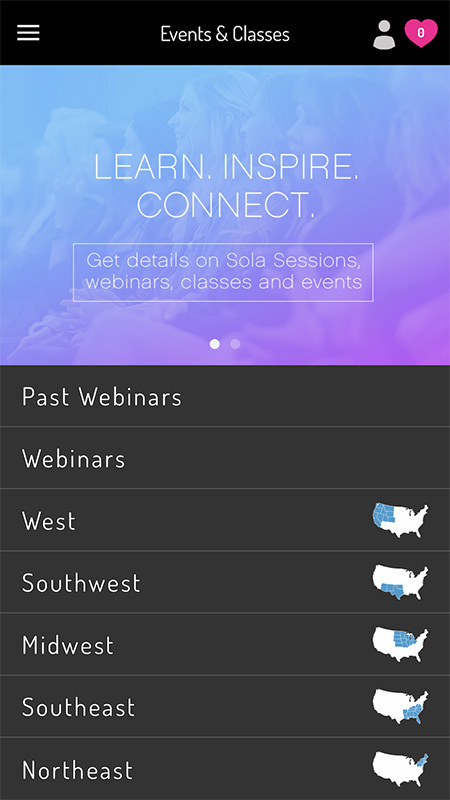 With Sola Pro you have unlimited access to inspiration and education in the palm of your hands. Pretty awesome, right?! But did you know Sola Pro offers so much more than just that? Discover how our exclusive (and free) app to the Sola community is a resource you can’t afford to pass up! As a Sola professional, we know how important it is to stay connected to the industry. That’s why we’ve partnered with your favorite brands to bring you exclusive deals on items ranging from backbar, retail, sundries, tools, online education, and so much more. 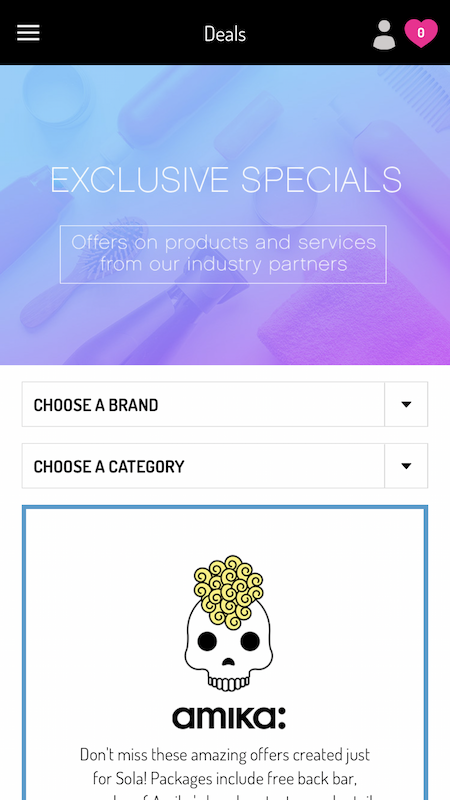 Whether you’re a hairstylist, esthetician, makeup artist, or nail tech, the Deals section is designed to provide value to all types of Sola professionals. Be sure to check it on the reg beause we’re consistently adding new brands with new offers to our all-star lineup. When was the last time you checked out your webpage on the Sola website? Did you even know you had one?! Your Sola website is an extremely powerful (and free!) resource available to all Sola professionals – and you can now update and edit your webpage on your own time. Here’s what’s really cool about this – the Sola website gets nearly 150,000 views per month, which means even if you have your own website, your Sola page will often show up first in search results due to the traffic of our main Sola website. So now’s the time to update your webpage with new images, a killer bio, testimonials – all the goods that will make prospective clients want to book with you! All you have to do is click the person icon in the right corner of the app > Edit > Submit Updates – and your changes will be made live instantly! Did you know that ALL of our Sola-created business and marketing webinars are archived inside the events section of Sola Pro? This is a gold mine of powerful education including “How To Raise Your Prices,” “How To Understand Your Sola Business,” text message marketing stragies and social media how-tos. Seriously, this content is game-changer, and it’s available for you to watch on your own time. In addition to webinars, you can log into the Events section, choose your region, and see what live events are occurring in your neck of the woods. Maybe it’s a Sola-sponsored happy hour, a cutting class with a local distributor, or meet-and-greet with your favorite educator. Whether you want to create perfectly undone waves, style with the latest texture spray, or try the latest foiling techniques – we’ve got you covered with videos curated from our industry partners and your favorite brands. In addition to artistic education, there are tons of inspirational and motivational videos as well as business and marketing content to keep you on top of your game and your business thriving. Perhaps you prefer to read an article or blog post to watching a video or webinar. The Tools & Resources section has education ranging from detailed product sheets from various brands, business and marketing blogs, shade charts, and how to documents. 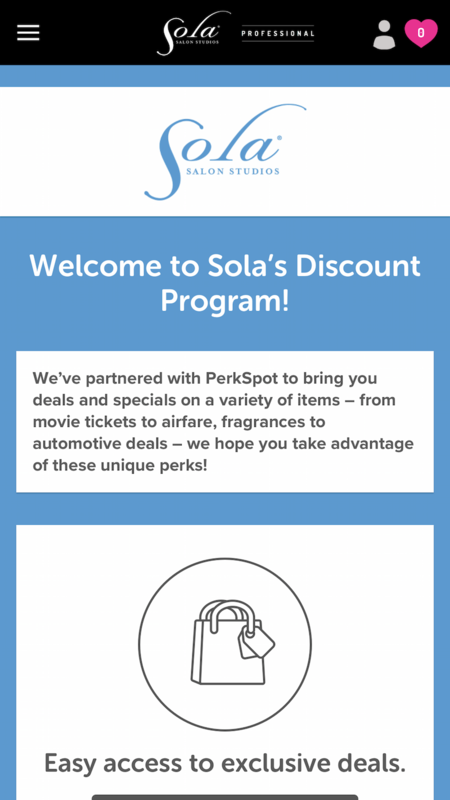 We’ve partnered with a company called PerkSpot to hook up our Sola community with lots and lots of perks. Access PerkSpot inside Sola Pro and start saving on things like airfare, hotels, movie and concert tickets, rental cars, and so much more. An average month yields total savings of $3,500 for the Sola community. Sign up today and keep the perks coming! Want to get caught up on all your favorite brands in Sola Pro? 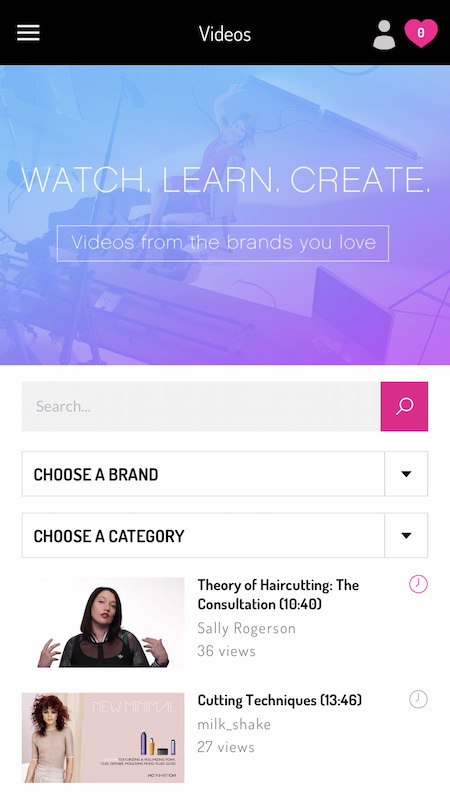 All you have to do is visit the Brands section, click your desired brand, and then you’ll see a compilation of every piece of content the brand has provided to Sola all together. The Sola blog is updated every week (sometimes twice a week!) with content designed specifically with the Sola entrepreneur in mind. You’ll find education on ways to build a booming business, tips for work-life-balance, spotlights on Sola professionals at the top of their game, seasonal marketing ideas, and so much more. The Sola blog is considered a gold standard in the industry and is repurposed by many of the leading beauty publications. Get your fix of all our Sola blog content on the Blog section of Sola Pro!